As thousands of women and men from all over the country are making their way to Washington D.C. to participate in the Women’s March on Washington this Saturday, a Southwest Airlines flight illuminated its cabin in pink, showing support in the most beautiful way. On the Southwest flight from Chicago-Midway International Airport to Baltimore-Washington International Airport on Thursday, the crew members paid tribute to everyone making the trip to stand up for their rights. They changed the cabin lighting to bright pink, winning the hearts of people everywhere. Travelers noticed the change and were quick to post pictures to social media. Krystal Parrish was a passenger on the flight and captured the moment on Instagram. Parrish explained what happened to Refinery29. She said that while the Southwest crew didn’t make an announcement before changing the lights, their intent was obvious. "I didn't hear them say anything, but when they [turned on the lights] the whole plane recognized their intention and everyone started clapping," Parrish told Refinery29. 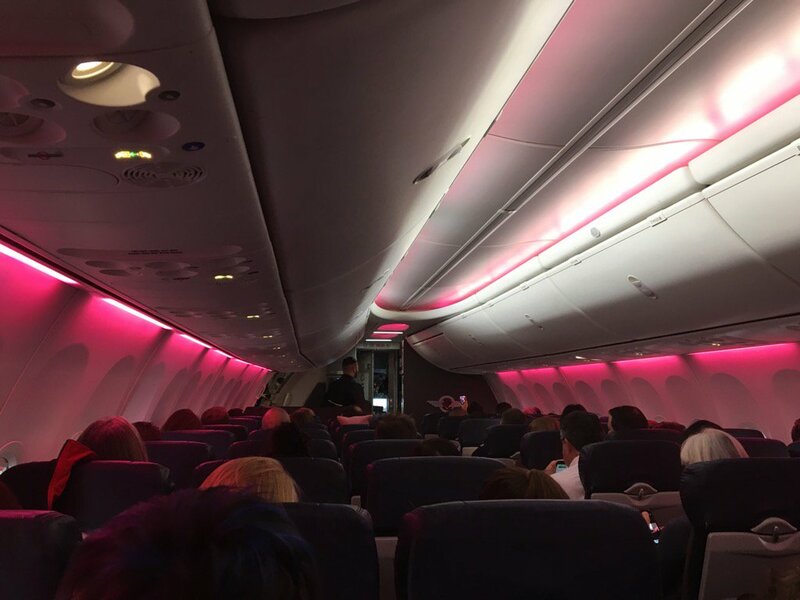 Twitter user Jennifer Moran was also on the flight, and she noted that the entire flight erupted in cheers when the lights changed to pink. "There was no announcement explicitly from the staff and no one screamed, 'this is for the march,'" Moran told NBC Washington. "Nothing, just spontaneous and everyone knew exactly why they were cheering,"
It warms our hearts to see a major company outwardly showing support for such an important cause. Southwest Airlines explained why the lighting was changed on only one flight and not all. It was a beautiful gesture, and something we’re certain people won’t forget.